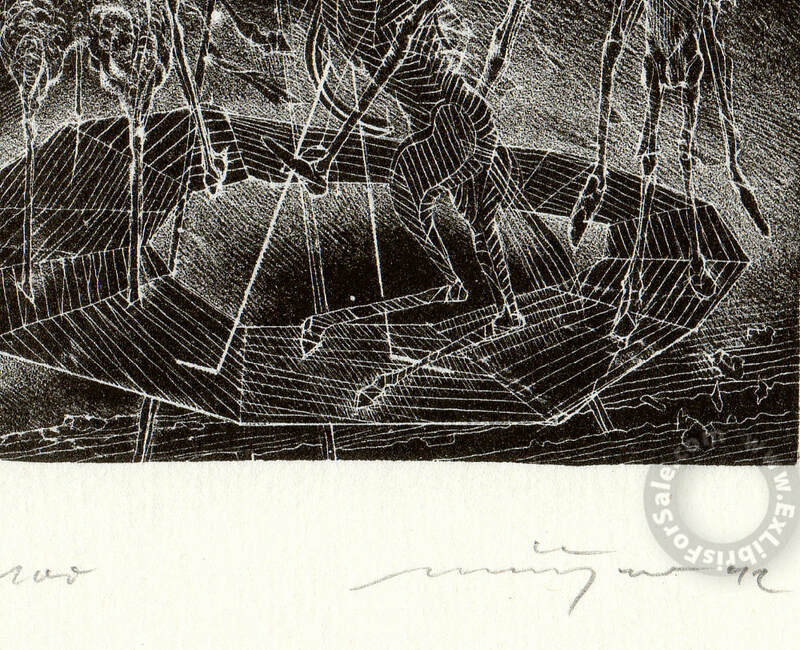 Münzner's graphic works are made in a difficult and therefore very rarely used lithographic technique. The prepared printing stone is covered with a thin layer of asphalt varnish in which the artist scratches the drawing. By slightly scraping the surface he can also create subtle shades of grey. The printing ink will only adhere to the asphalt varnish. So the scratched lines will remain white which results in a kind of negative drawing. It is a time consuming technique and it is especially difficult to print it perfectly. 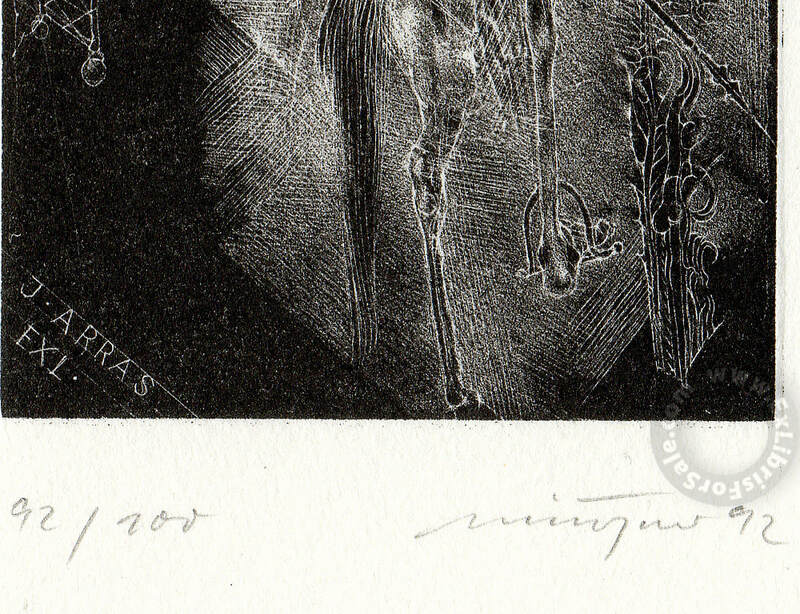 Because of the similarities in the working method and the visual result with the mezzotint, this technique is sometimes called 'lithographic mezzotint' or 'litho mezzotint'. 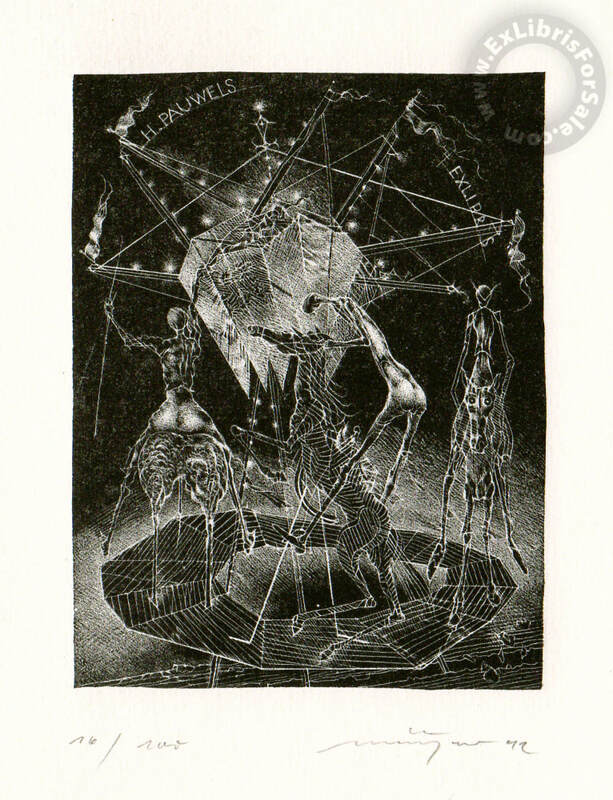 There are only a few ex libris known that are made by him. Sorry no more items available for sale. 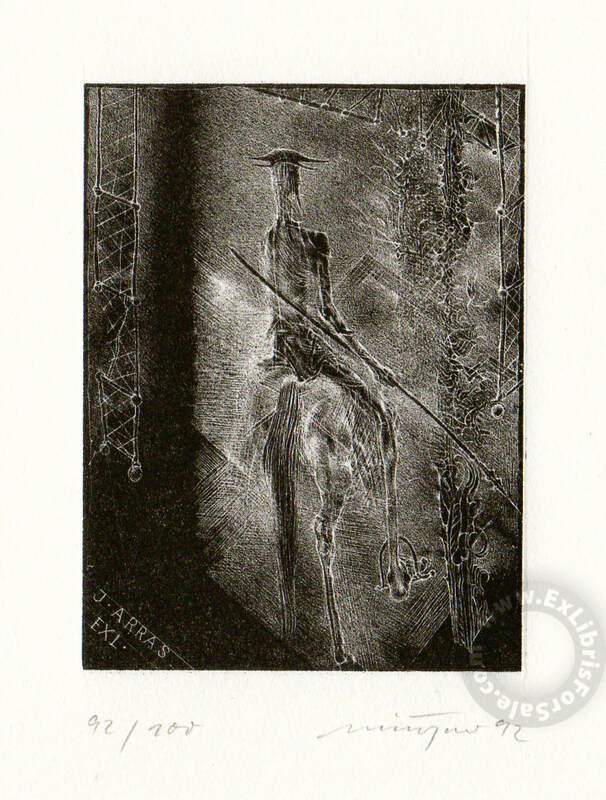 Technique: scraped lithography, also called litho mezzotint (L1). Plate size: 8,5 x 6,4 cm. Particularity: presented in the 1996 catalogue of the Kredietbank at nr. 97. Plate size: 9,5 x 7,2 cm.